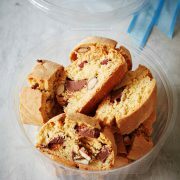 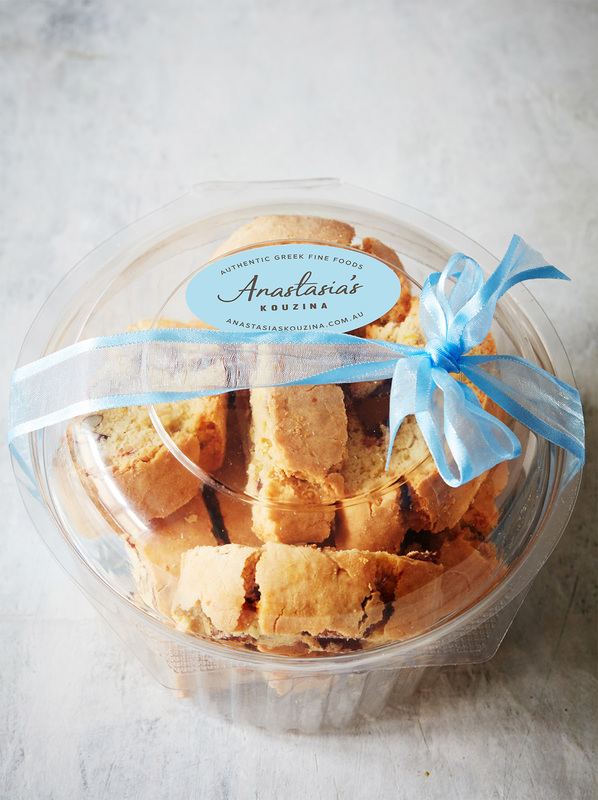 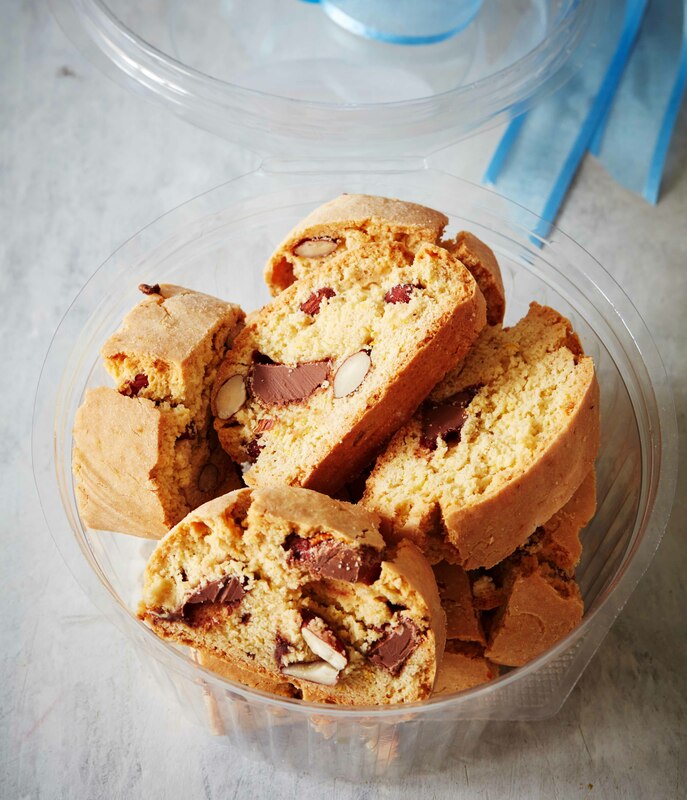 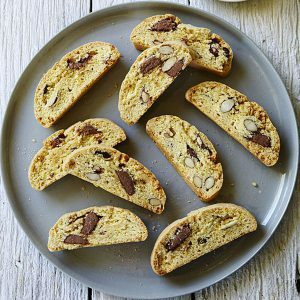 A thick, chunky biscotti bursting with hand-cut chocolate chunks and almonds with a hint of orange. 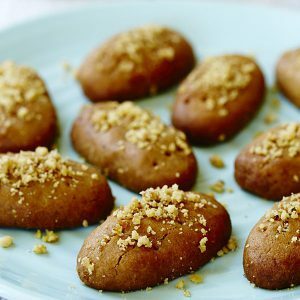 What’s more, they are baked twice for that perfect crunch! 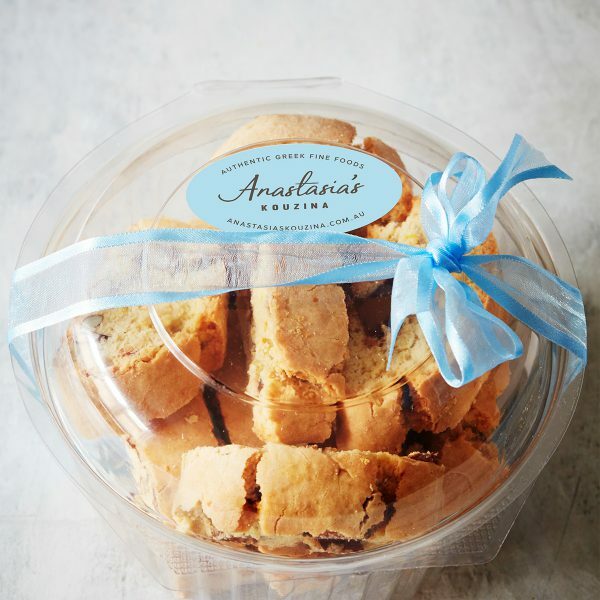 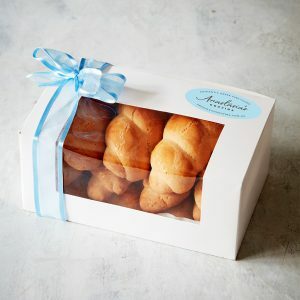 This gift box contains 10-12 biscotti.